Fast, simple and powerful, SogoOnline trading is an all-in-one platform for stocks, exchange-traded funds (ETFs) and options. You can make online trades conveniently and quickly using our state-of-the-art online trading platform. If you are looking to open an online trading account with a discount stock brokerage, take a look at other online trading sites, and we’re confident you will utilize Sogotrade for your online trades. A fully customizable platform with leading technologies including streaming quotes, providing the tools and controls traders need to get an extra edge in the markets. 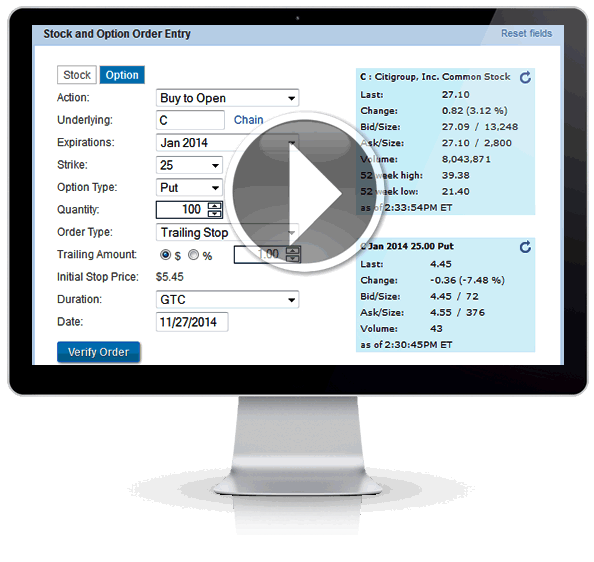 Customizable and powerful option trading platform especially for the options trader. 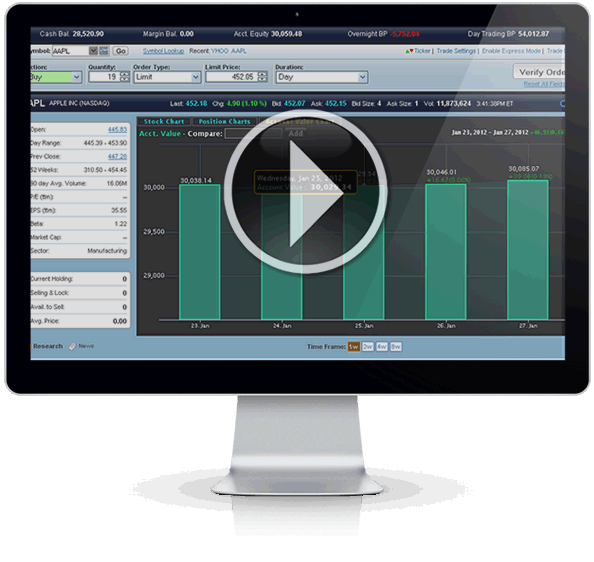 Streaming quotes, powerful analysis & risk management with fast execution in a highly-configurable platform. 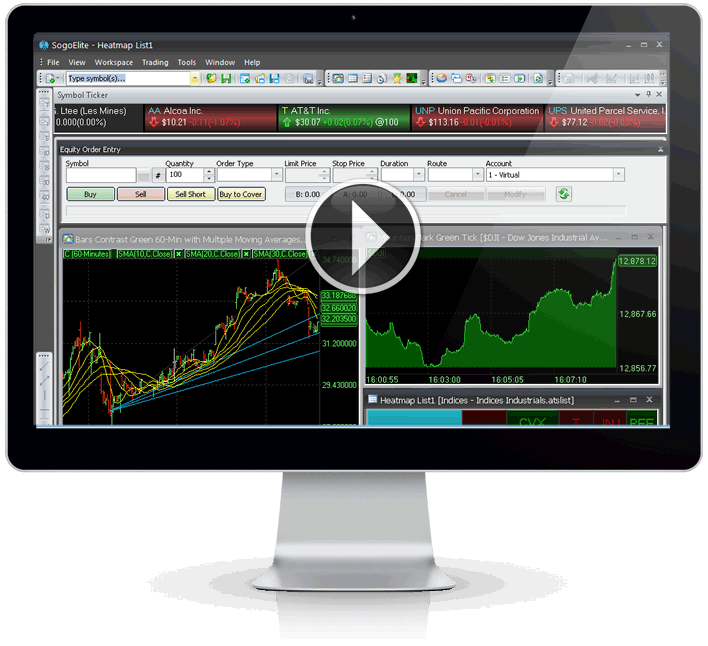 View options quotes, market data, as well as analyze strategies and execute your trade in your own way. Compare the SogoOptions platform to other options trading platforms, and you will see why SogoTrade is the right choice. Our downloadable SogoElite provides ultra-low latency real-time streaming market information for U.S. stocks and options. 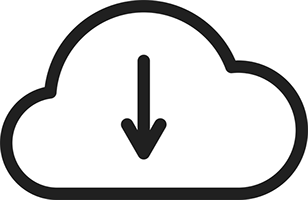 The data stream powering SogoElite is sourced directly from the originating exchanges and is delivered straight to your desktop in milliseconds. Take a test drive today and experience the power for yourself. SogoMobile is a browser based mobile trading platform. 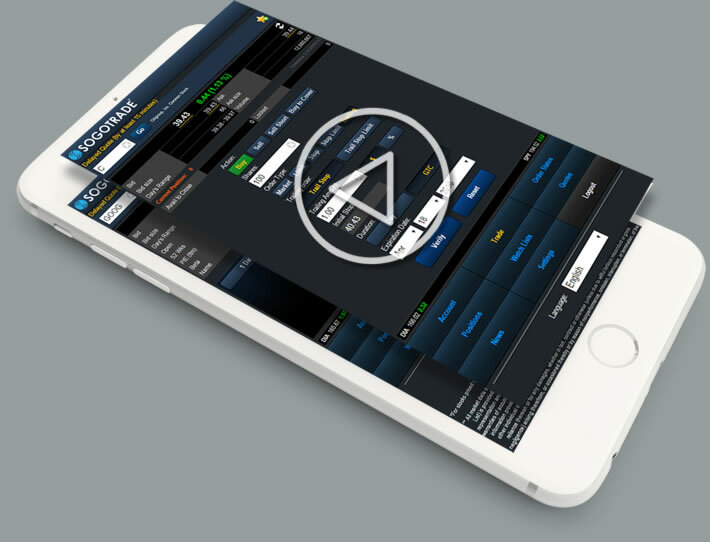 We built it specifically for all of our customers who want to utilize browser based mobile trading on any smart phone, tablet or any internet enabled mobile device. It is a fast-trading platform that takes advantage of the functionality and user friendly characteristics you've grown accustomed to on the SogoTrade equity platform. SogoApp provides on-the-go access to SogoTrade’s lightning fast order routing technology. All of SogoTrade’s trading platforms, including our downloadable mobile application SogoApp, are built upon one core infrastructure which stems from the award winning platform originally designed for professional traders. SogoApp is fully customizable to the needs of individual investors and traders in order to deliver a singular, exceptional trading experience. Benefit from one of the lowest commission rates offered in the online brokerage industry. Trade the way you want! Now, you can connect directly to SogoTrade through our new, powerful Application Programming Interface (API). 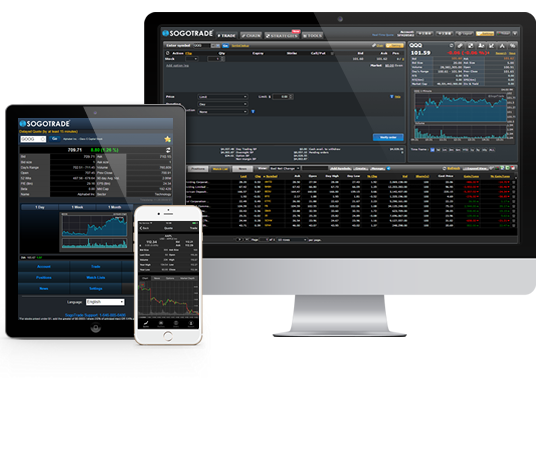 Build your own trading app, access your account data, view market data, and more! SogoTrade's API makes it easy to build innovative applications.